Is Australia the best place in the world to be a mum? The beautiful beaches. The vibrant atmosphere. The amazing weather. The friendly people. We can all agree that Australia is a wonderful place to raise a family. But where does Australia rank in terms of health and education compared to other countries? According to Save the Children’s 16th annual State of the World’s Mothers report, Australia is high on the list as the best place to be a mum. Researchers compiled the index of 179 countries by using data from UN agencies to show where mothers and children fare best and where they face the greatest hardships. Norway, Finland, Iceland, Denmark and Sweden rank as the best countries in the world to be a mother while Australia comes in ninth. All countries in the top ten, other than Australia are European countries including Netherlands, Spain and Germany in the sixth, seventh and eighth spots. New Zealand ranks in at 17, Canada at 20, the UK at 24 and the USA at 33. Brisbane mum of four girls, Tricia, agrees. “A lot of my friends from overseas think we are permanently on holidays. Trips to the beach, the museum and theme parks – these are regular outings for us,” she tells Babyology. But it’s not just the laid-back lifestyle that makes Australia a haven for families. Australian mums topped the list for the most amount of formal schooling and have the third highest gross incomes per capita at $63,390, proving that we really can do it all. The Mother’s Index report also shows that Australia’s maternal death risk and infant mortality rate are both well below the world average. “There’s always room for improvement. But overall, we really can’t complain,” Gina says. 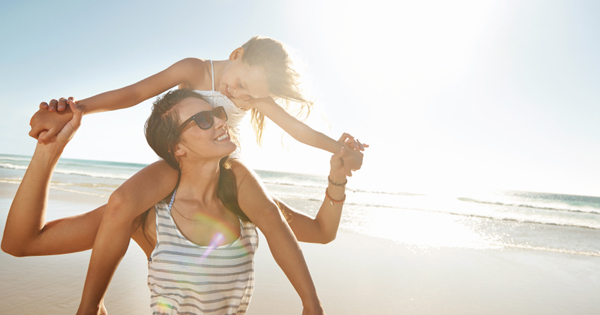 Why do you love being an Aussie mum?